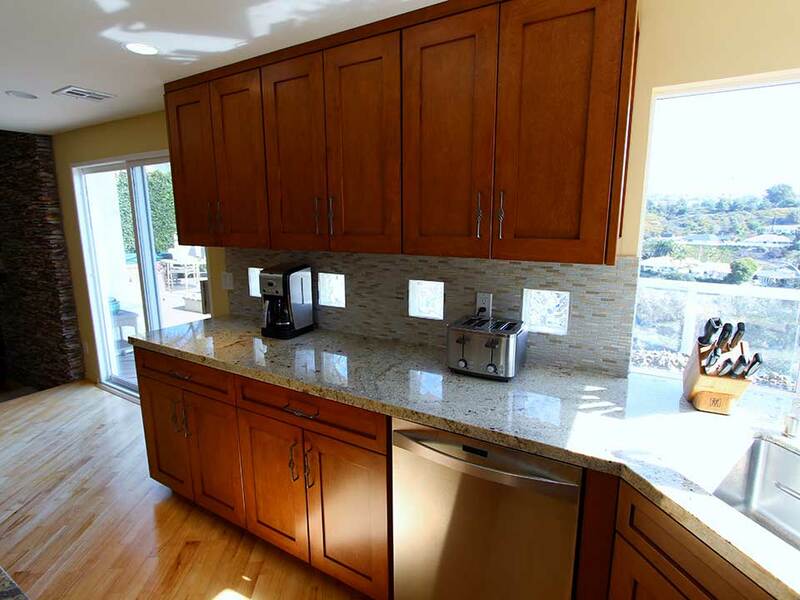 The owners of a San Clemente home wanted to warm up the look of their abode with a woody kitchen renovation. APlus was called in to make it happen. Formerly, the kitchen had a very understated vibe. 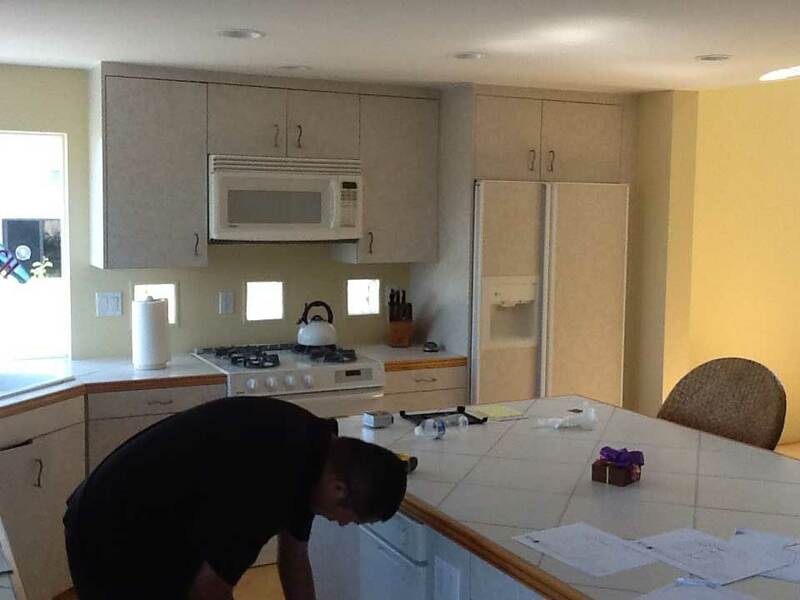 The flat design of the cabinets and their plain white finish made the space feel a bit generic. 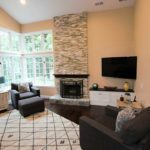 We were asked to incorporate higher quality materials and more radiant, earthy tones to help the room feel more cozy. First, we removed all of the kitchen’s original build. 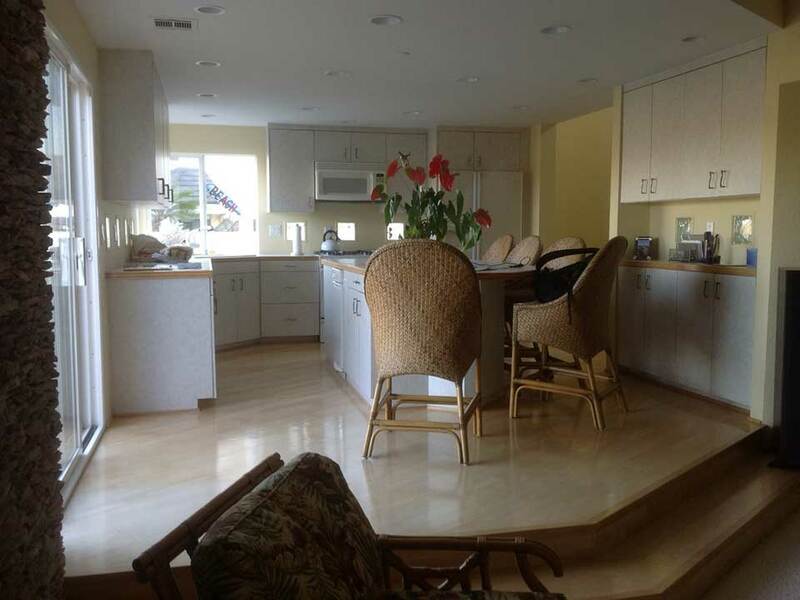 The existing floors were left in place, as their golden light wood hue was complementary to the new design. 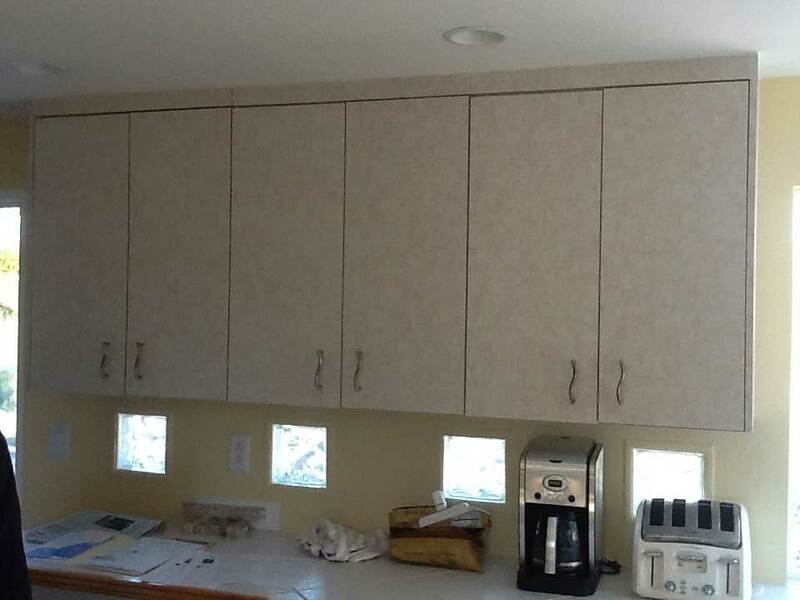 Since the original U-shaped layout already made the most of the room’s available space, it was decided that we’d rebuild the cabinets in the same format. The new custom cabinets were built out of maple wood in a Euro-style construction, with 3” Shaker doors and 2 ½” Square crown moulding. 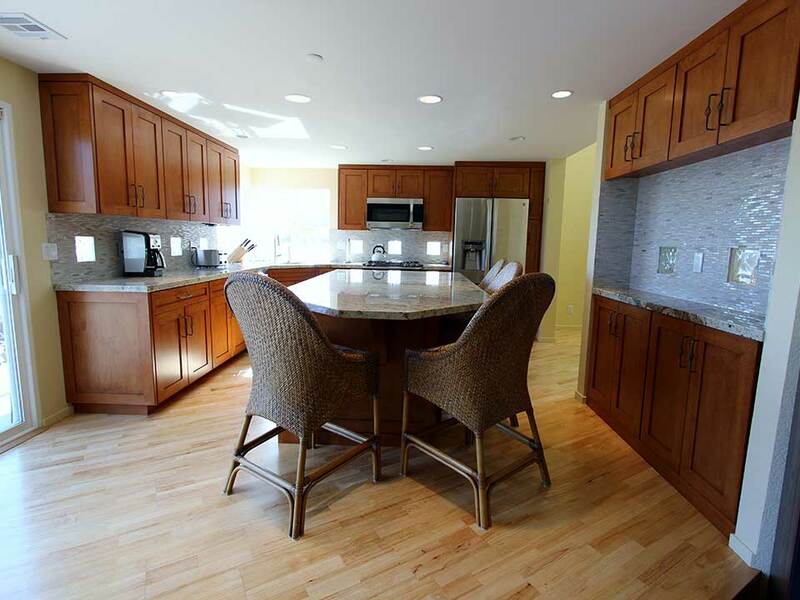 We gave them a vibrant chestnut brown finish that enhances the appearance of the wood’s natural grain and gives the entire kitchen a more inviting ambiance. All of the drawers and doors were affixed with Dark Bronze ornamental handles. Mitered 1 1/2″ edge Marmol Expert Sienna Beige granite countertops were put on all of the surfaces. Their neutral, subtle gray coloring goes well with the shimmering tile backsplash of the walls, which the owners installed themselves. Surrounded by the backsplash are the original glass window cut-outs. These unique elements add interesting illumination and a contemporary influence. To keep the transitional kitchen looking sleek and modern, the owner chose to go with stainless steel appliances, all from the Kenmore Elite collection. Against the back wall, a 25 cu. ft. Counter-Depth French Door Bottom-Freezer Refrigerator was built into the cabinet casing. Next to it is a 30″ Convection Microwave-Hood Combination, set over a 30” Slide-In Gas Range. At the corner beneath the window is a large undermount sink with a tall curved faucet. 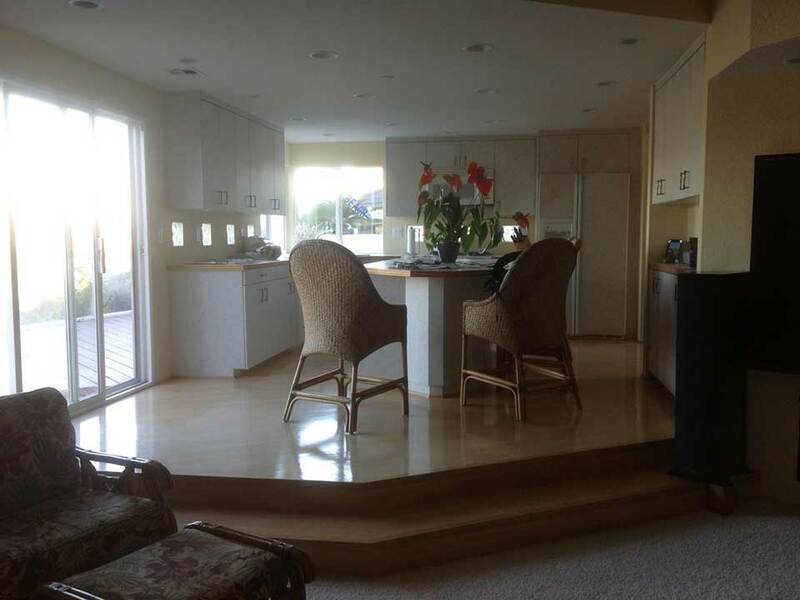 It is set next to a 24′ Built-In Dishwasher. 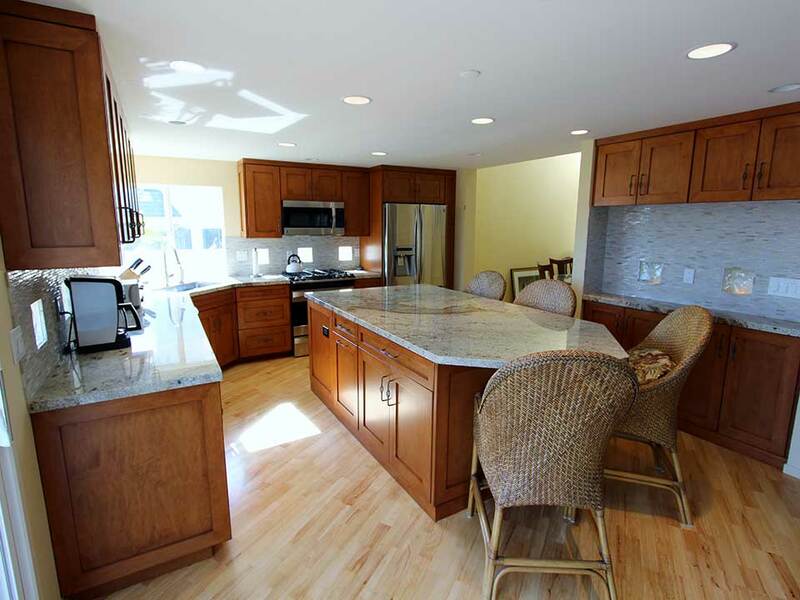 Do you have a home in San Clemente or another part of Orange County? 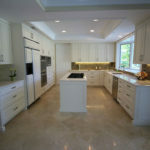 Are you interested in upgrading it with a professional renovation? 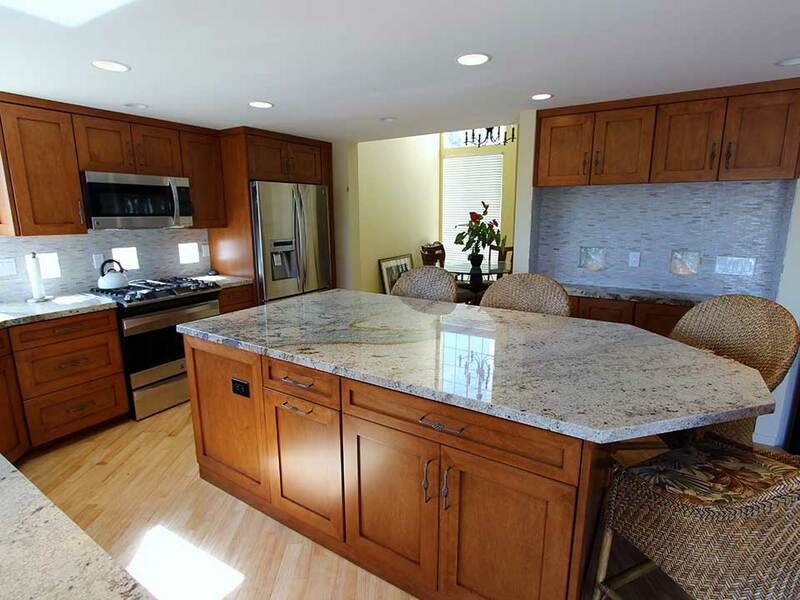 APlus Kitchen and Bath provides expert remodeling services throughout the area. Our contractors would be happy to give you a free quote for your project. Contact us today!